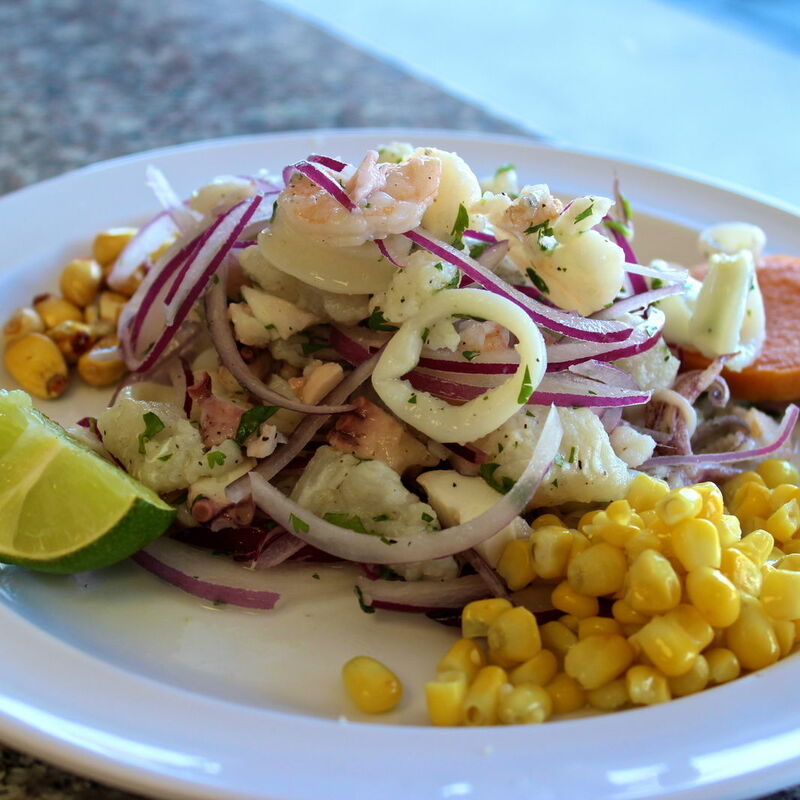 Peru Cafe Express in Greenway Plaza specializes in ceviche on the run. 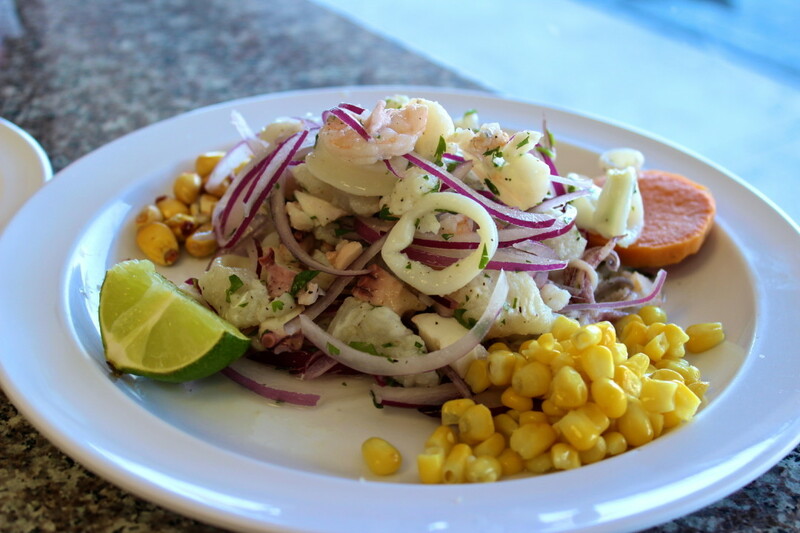 Ceviche mixto at Peru Cafe Express. I remained vexed until I reminded myself that fretting over a lack of larb was stupid in a city like Houston, where we could put together "eight best" lists New York can't imagine: best kolaches, best breakfast tacos, best boudin, best matzoh ball pho (okay, that last one only exists at Eatsie Boys Cafe, but we still beat NYC to the punch). And as of late, we can certainly add best ceviche to that list. In August last year, Houston Chronicle food critic Alison Cook argued that ceviche is Houston's newest iconic dish. 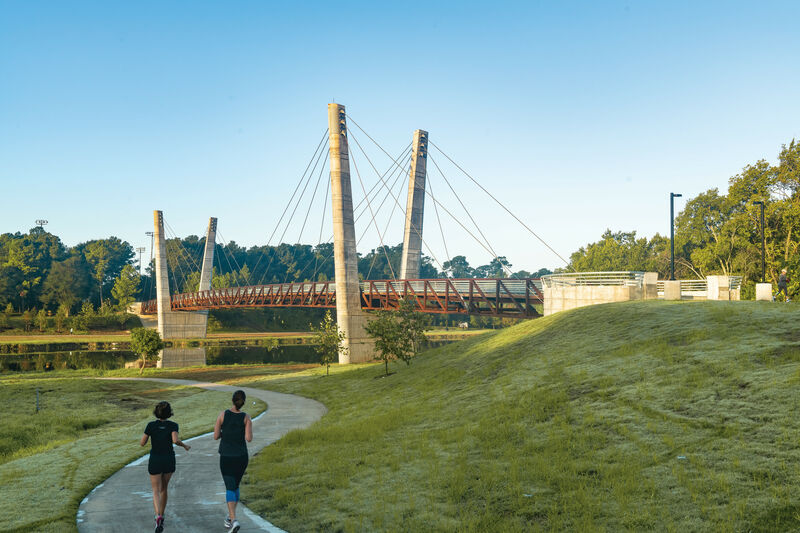 I don't agree with her—especially considering the high-profile, ceviche-minded places which have come and gone in the passing years (El Xuco Xicana, Concepción, Alma, etc. )—but it was a fun point to try and prove. What I do agree with is that good ceviche has never been easier to find in Houston, and for that I'm thankful. Houston's always been a seafood city thanks to our coastal proximity, but that seafood often comes fried, steamed, broiled, or baked. I love ceviche because the cool, crisply-flavored dish suits our palate as well as our sweaty, muggy climate. Given the choice between fried shrimp or chilled shrimp dressed lightly with citrus, I'll choose the latter every time. 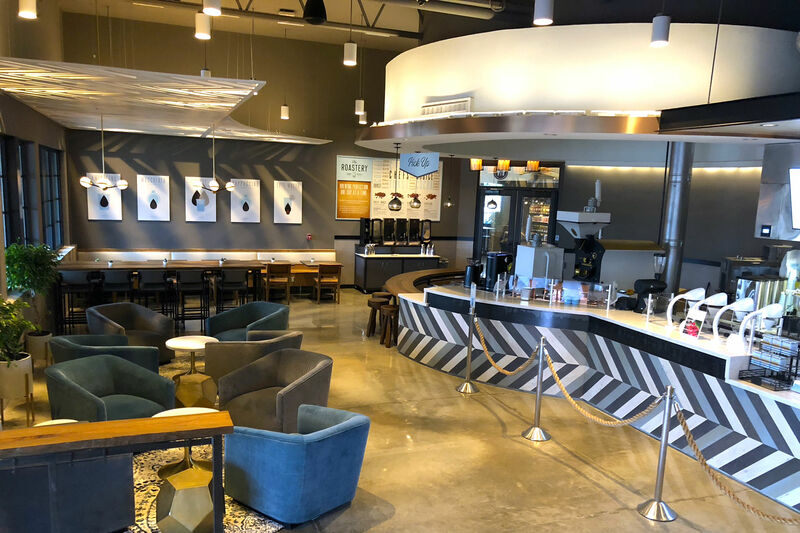 Peru Cafe Express, which just opened a few months ago in Greenway Plaza, specializes in Peruvian food served fast—as the name would imply. That means you can zip in and out, getting your ceviche in under 10 minutes from the time you order to the time it's brought out to you. The mixed ceviche here is solidly good, too: it's filled with shrimp, squid, white fish, and octopus, lightly dressed with lime juice and thin slices of red onions, and served with the traditional Peruvian accoutrements of corn, crunchy choclo, and sweet potato. 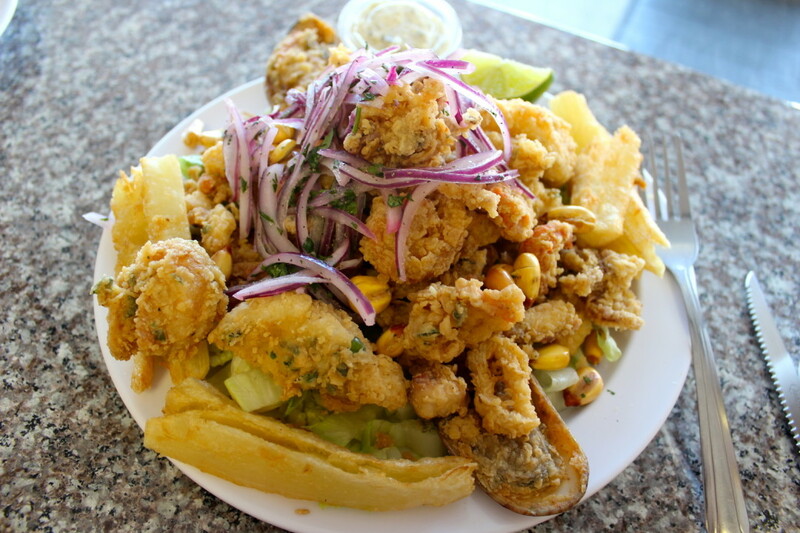 A fried seafood platter, or jalea, is $11.99. At $11.99, you may find the ceviche pricey, but the portion is more than enough for two to split. In fact, at lunch yesterday, my friend and I were nearly too full for the rest of lunch and ended up taking most of both plates to-go. My plate of jalea mimicked the bounty in the ceviche: fried shrimp, fried crawfish tails, fried fish, fried squid, and fried octopus all mingled atop a mound of cabbage and red onions with a tangy side of aji verde to cut through the batter. My friend's bistec a lo pobre also mixed a handful of Peruvian favorites into one plate: steak, rice, creamy canary beans, a fried egg, and sweet slices of fried plantains. It was also the cheapest of the dishes at only $10.99. 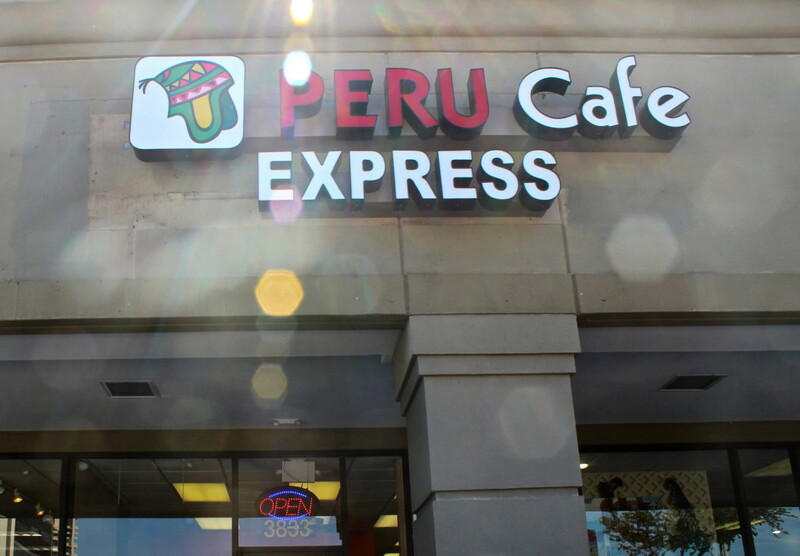 While we ate at Peru Cafe Express, I appreciated the fact that it was so easy to get your food to go and in a hurry. That's one thing that's been missing from our burgeoning Peruvian food scene, and certainly not common at ceviche restaurants either. 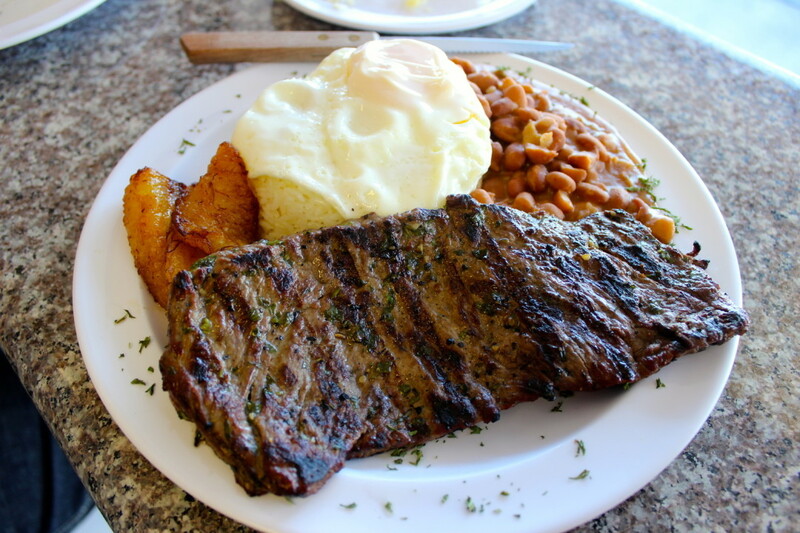 Bistec a lo pobre could double as a brunch dish. Be warned, however: there are no tables in Peru Cafe Express, just a few counter seats—and they fill up fast. 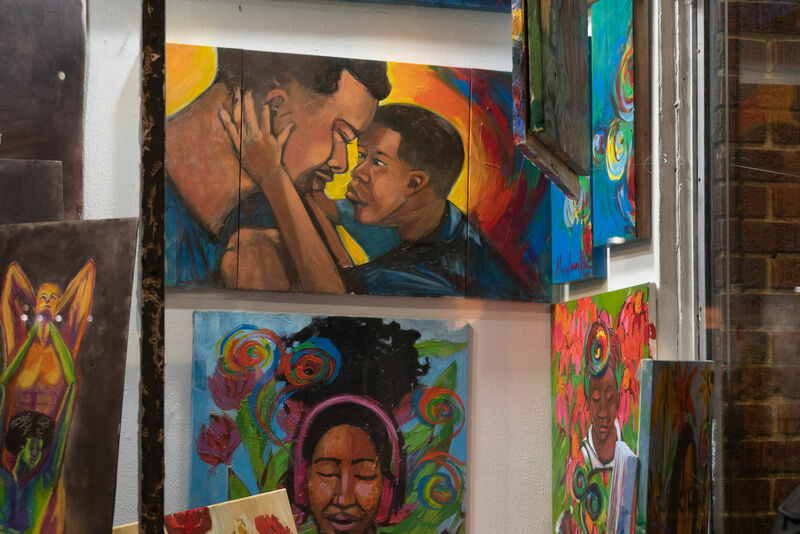 Yesterday at lunch, the entire front space—perhaps 100 square feet total—was packed tight with people enjoying plates of lomo saltado or waiting for their own carry-out orders of chaufa de pollo and rotisserie chicken. For that reason, Peru Cafe Express encourages calling ahead if you're planning on getting take-out. One more tip: get the chicha morada. The traditional Peruvian corn beverage was a welcome final touch to spot on the menu. The dark purple tisane is stronger and sweeter than most I've tried in Houston, and the subtle flavor of cinnamon and clove is a perfect match for the impending fall weather. $ Peruvian 3833 Southwest Fwy.